Property owners and occupants have a responsibility to keep their property safe and clear from hazardous conditions. If they are negligent in the upkeep of the property and such negligence results in a slip and fall, they may be liable for your injury. 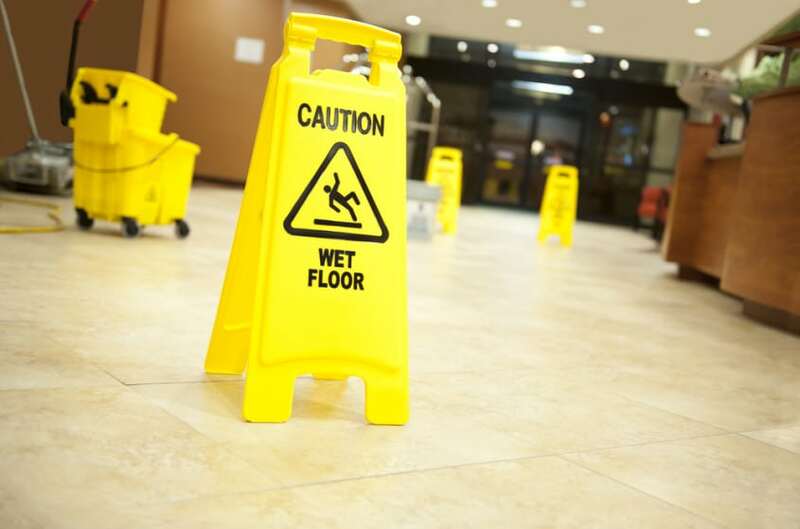 There are a wide variety of negligent conditions which can result in a slip and fall. Failure to keep sidewalks, pathways, and outside staircases free of snow, ice, and wet slippery surfaces can lead to slips. People can slip and fall on uneven, narrow, or unsafe staircases. Failure to properly repair cracks, gaps, or potholes on the property can also lead to injury. If your slip and fall injury was as a result of someone else’s negligence, that person or entity may be liable for your injuries. They have a responsibility to keep the premises in good condition. This means performing regular maintenance and repairs, and providing a reasonable standard of care for the property. It is the responsibility of the owner or occupants to remove hazards by cleaning up spills, shoveling snow, laying down salt on ice, or performing maintenance/repairs to fix the situation. If hazards remain, they must post signs indicating the potential dangers or blocking access to the area in question. They should perform regular inspections and address any potential hazards promptly. How can you establish liability? If your slip and fall case proceeds to court, you will need to establish liability. Was the accident foreseeable? Did the defendant carry out the duties listed above to a reasonable standard? Were regular inspections performed and documented? Was the hazard preventable? These and other factors will be used by the court to establish liability and determine compensation. What should you do if you experience a slip and fall accident? If you suffer a slip and fall, your first order of business should always be to ensure your own physical safety and get medical attention if necessary. Make sure to document the conditions with a camera on your cell phone. Photograph your injuries at the time and as they progress. Jot down details of the event and get contact information for any witnesses. Finally, you should contact an experienced Ottawa slip and fall lawyer. Your Ottawa slip and fall lawyer will help you navigate the case and fight for the compensation to which you may be entitled. If you have suffered a personal injury in a slip and fall accident, contact Mullowney’s today for professional legal advice.